It’s the end of the school year. 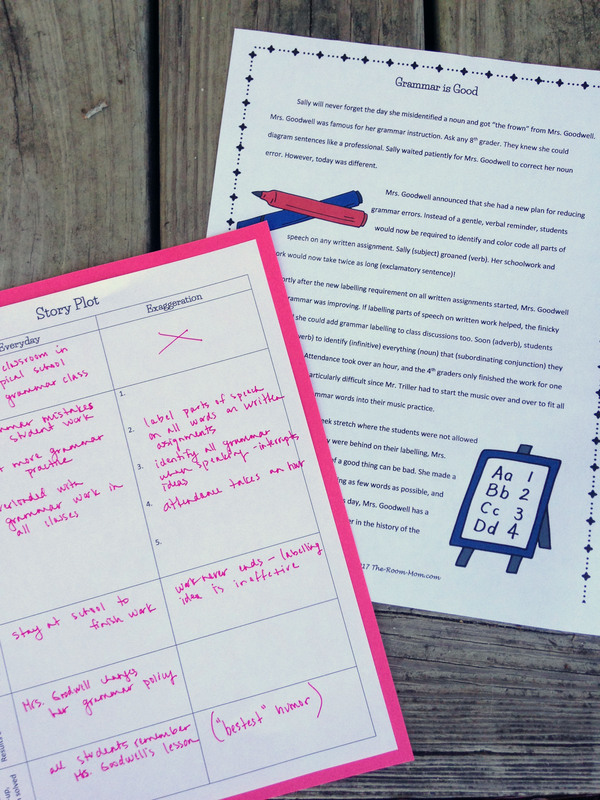 I don’t have time to start and finish a quality novel with my students and complete reading comprehension and writing activities to support good “thinking” about the book. We get interrupted often during the last few weeks of school, and I don’t have reliable blocks of time. To maintain continued reading instruction, I switched over to short stories. Tall tale short stories to be specific. They are hilarious, and we have loved every minute of it. One of the key traits in a tall tale is the use of exaggeration or hyperbole. Hyperbole is used to solve the story problem in a funny way. To really cement the tall tale characteristics in the students’ minds, they are writing their own tall tales. We will add their creative stories to our end of year writing portfolio as the final writing piece. 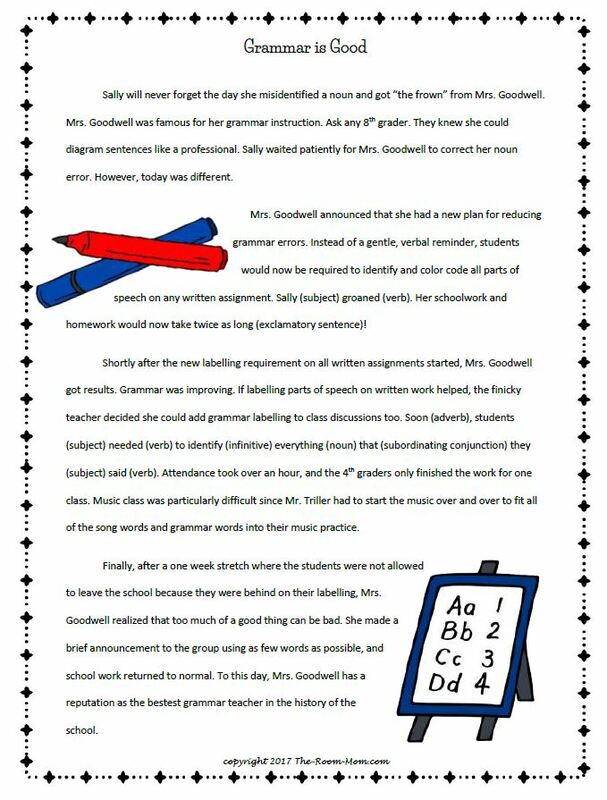 It will be the perfect fourth grade writing finale! To get the students started, we brainstormed everyday problems students might have. The students had lots of ideas. There is the common problem of not wanting to do weekly chores at your house (inspired by Sarah Cynthia Silvia Stout by Shel Silverstein and Mrs. Piggle Wiggle books). We have school problems such as bookbags that are too heavy or teachers who give too much homework (inspired by A Fine, Fine School by Creech). We also discussed pet problems (inspired by Those Darn Squirrels! by Rubin). Once students had a place to start, they completed THIS BRAINSTORMING PAGE to gather their ideas and map their story plot. Students identified key events in their story and then made choices about how they could exaggerate the events to create humor. Using a side by side chart to outline the story plot helped the students maintain a believable “voice” while writing. It reduced the likelihood of a story that was so ridiculous that the reader lost the meaning. I’ve been conferencing with the students, and while there are some stories that are more successful than others, most make me laugh out loud. 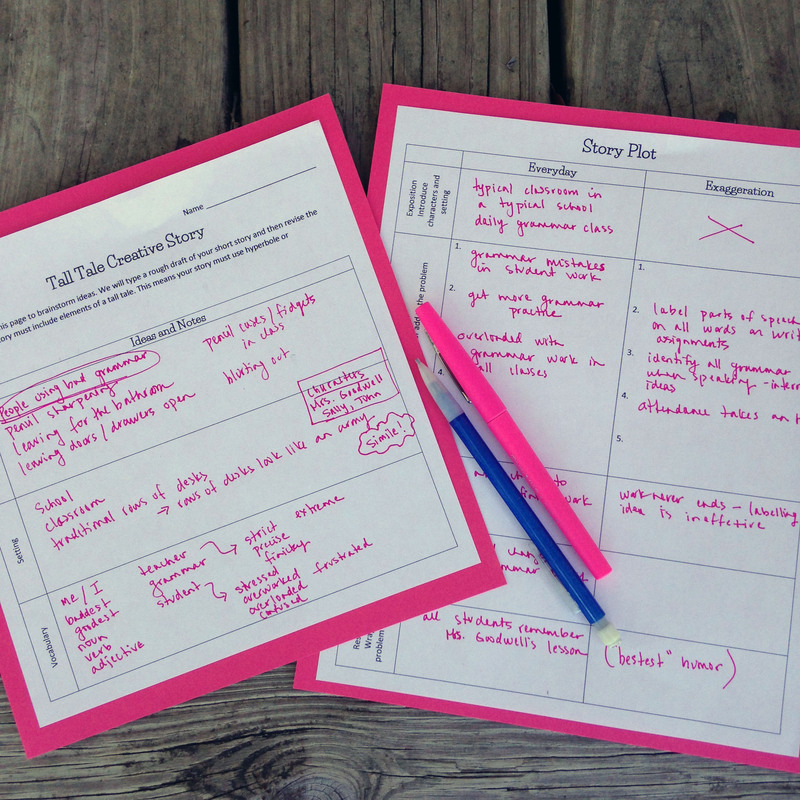 To download my tall tale creative story brainstorming page, a rubric, and lined paper that could be used to handwrite the story, CLICK HERE. 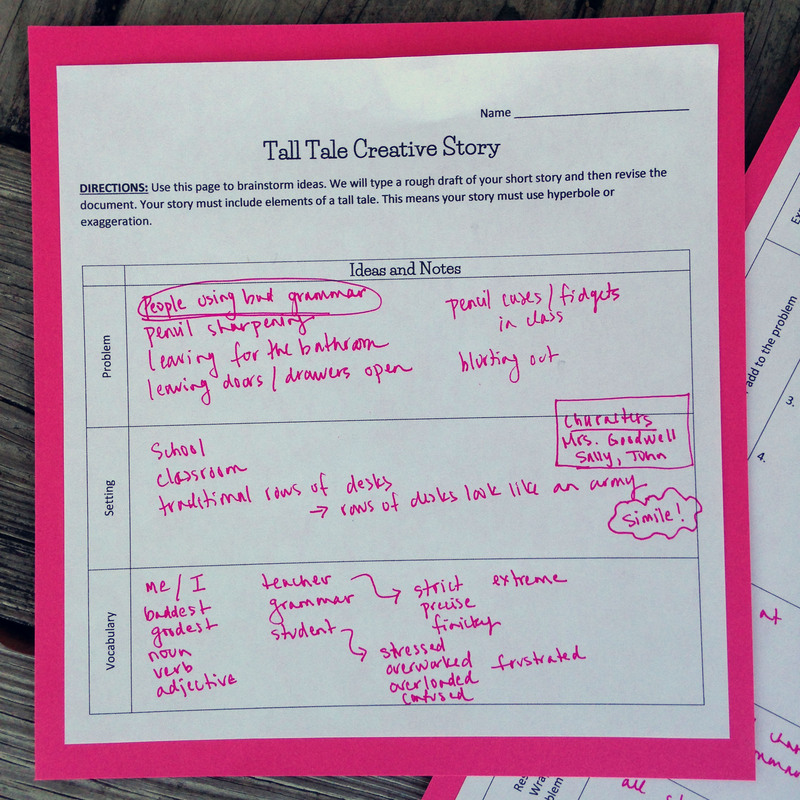 To see the tall tale stories we used and to purchase activity ideas for tall tales, CLICK HERE to visit my teacher store. We typed our essays in MS Word, so I was also able to incorporate a lesson on formatting a document. Students changed font and font size. They centered the title and changed the spacing to double space. They also added images and learned about wrapping text around an image. We will be finishing up Owl in the Shower this week and will have no time to start another chapter book. I am going to do some activities with poetry, but tall tales may be fun too. I love poetry! Good idea for end of the year.